GPS Advocacy is an advocacy service created by Gloria Perez-Stewart (formerly Gloria Perez-Walker), a mother to a child with disabilities and special education/disability rights advocate, and former community organizer. GPS Advocacy offers interviews with special education and disability experts, and services for parents of students receiving special education or disability services in the public school system. Gloria is the mother of an 18-year-old with disabilities and has worked as a special education and parent advocate for over 15 years. She has worked with private and nonprofit law firms as a disability advocate and has worked with on The School To Prison Pipeline Project with ACLU-Texas to organize parents for class action suits in their school districts and for Disability Rights Texas as an education advocate. 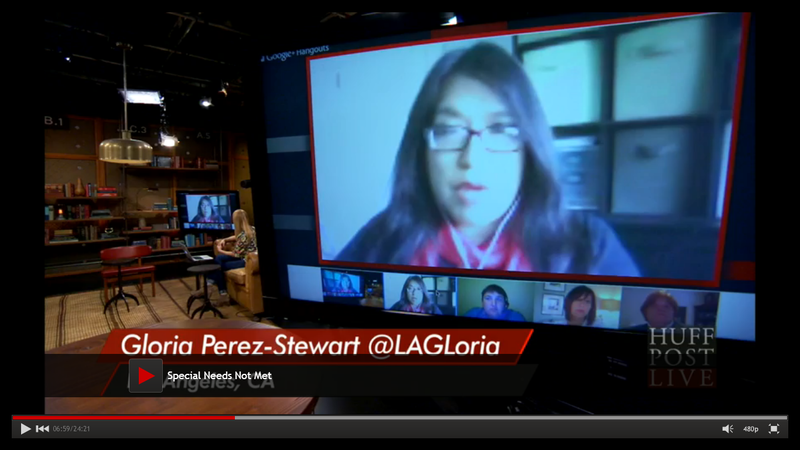 Gloria is a founder of Latina Mami in Texas and California and co-founder of Ichi-Villa Autism Alliance in Los Angeles. She is also a commissioner in California as a senate appointee for the statewide Advisory Committee on Special Education. She recently served as board member for the national civil rights organization, Council of Parent Attorneys and Advocates and currently serves as board member for Community Lawyers, Inc. in Compton, California. Gloria’s parent organizing work has been featured in the national Latina Magazine, Austin-American Statesman, Parent:Wise Magazine, and Austin Monthly Magazine and she has been recognized by Ernst and Young as a Social Entrepreneur. She hosted a weekly radio show entitled “Mamis of Color” for young mothers of color in Austin, Texas for a decade on KOOP Radio 91.7 FM. Gloria is a native Texan and is a 2017 graduate of Peoples College of Law in Los Angeles. She is currently awaiting bar exam results and divides her time between California and Texas with her son Aidan Mauricio, her husband John, and her two dogs, Riley and Sonny.